It’s a direct, strong message and it’s cropping up more often. And it’s being enforced. Venue websites and social media pages now feature separate policy pages. Should you be the person who says “yeah, I’ll book” then you become responsible for letting the decorated guest know that he or she may be refused entry. It’s not just tattoos though. Not since the 80’s have we seen such restricted and imposed dress codes. Granted, fashion is a lot more ‘relaxed’ in the twenty-teens than it was three decades ago, when tattoos were more a rarity than a norm (although some of those haircuts could probably have warranted a policy on their own merit. 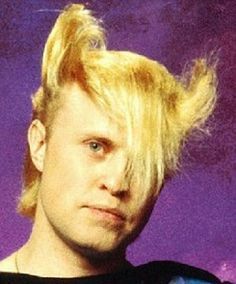 Remember a flock of seagulls?) and the most outlandish piercing was a second set in each ear. Brisbane’s always had a dress code thing, much to the lament of unsuspecting Mexicans and border-crossers. And these days, it seems everyone’s on board. Restaurants, clubs, pubs, bars, airlines, air terminals, (just this week Kate Ceberano was booted out of a Qantas lounge for inappropriate footwear), sports clubs. I get the anti-thong brigade, if applied to Havaianas and other rubber soled atrocities. I also get the clothing thing (ripped jeans are in fashion again. In or out? ); skater shoes (are they those shoes with little wheels that my kids had? ); and cleanliness (a shower, shave and shampoo never goes out of style), but I do wonder if, in this age of ink-and-pierce all visible skin, venues are asking too much. But then, how much is too much? What do you think. Harsh or welcomed? * I don’t really have these. Just sayin’. I was thinking how cool it was that you got eyebrows and eyeliner! I did think about it but I figured it would hurt and one thing I hate more than having to put on makeup is pain. Tattoos are everywhere and while I would never ever tattoo any part of me, so many people do. I think it’s harsh. I looked at Kate’s clothes in the photo and she looked better than some I’ve seen allowed in the Qantas lounge! That was nuts and bad for their PR. Tattoos don’t bother me in the least bit. Growing up in a strict religious culture where everyone was judged based on appearance has compelled me to swing the opposite way. I really don’t care what people wear as long as they behave themselves.